What is the Importance of the Hong Kong Contemporary Art Foundation? 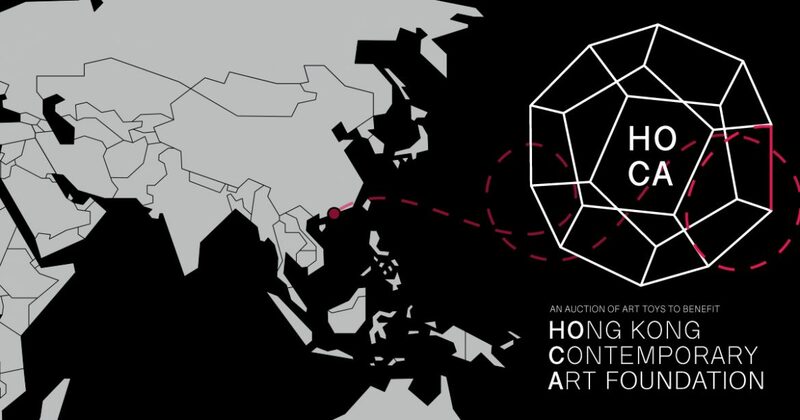 A non-profit organization, the Hong Kong Contemporary Art (HOCA) Foundation was launched in 2014 with the goal of promoting contemporary art in Hong Kong. But not just any contemporary art. HOCA focuses on artists that evolve popular forms of culture into conceptual high art, such as those within the graffiti and designer toy art movements. Specifically aimed at bringing art to the city outside of the gallery context, HOCA is situated to educate art collectors across Hong Kong about these contemporary art forms as well as exposing a new generation to these works. And as a city that has quickly risen to the forefront of the Asian art market in recent years, this goal is more important than ever to the future of these movements. With all proceeds directly benefiting the HOCA’s programming in 2017, there is a veritable treasure trove of works being offered. But certain works stand out for their uniqueness, even amidst a bevy of KAWS‘ vinyl sculptures, Jeremyville‘s extremely limited Birds of the Apocalypse (2013) wooden works, and a copy of the impossible-to-find Show Gal (2016) by Ashley Wood. It is safe to proclaim that the British pre-school children’s television series Teletubbies pervaded the cultural consciousness. Very few won’t recognize multi-colored toddlers with TV screens implanted in their abdomens and uniquely-shaped antennae protruding from the heads. As such, it certainly seemed appropriate for popular culture commentator Ron English to warp their iconic form, adding his well-known “grin” element to their profile. Adorned with a cloth cape, this Telegriny (2016) vinyl sculpture has been encrusted with Swarovski crystals, including two shades of blue defining the eyes. Reminiscent (and parodic) of Damian Hirst‘s For the Love of God (2007), the exposed skeletal structure of the “grin” aspect is the sole aspect remaining unplated. And this one-of-a-kind Crystal Telegriny by English embodies the same glory as Hirst’s work, though instead of being a Memento mori this work becomes a Memento culturae. Playing off of the concept that the heart wants what the heart wants, even when the mind disagrees, Emilio Garcia merges the two elements into a singular organ: the Brain Heart. Previewing the design at the Swab Barcelona in 2014, it seemed strangely full circle when 70 Brain Heart pieces were displayed on the wall of JPS Gallery‘s booth at the same art fair this year. And yes, this Olive Green version of the work was one of those 70 unique pieces. GOIN‘s Bad Apple concept debuted as a street art piece in 2011, the image of Snow White adorned with a radical activist’s bandana face mask immediately became his signature work. Replacing the poisoned apple with a grenade, changing the way the viewer interprets her contemplative downward glace, this design was transformed into three dimensions by Mighty Jaxx two years later. Using a copy of the long sold out, 300 piece debut pink version, GOIN himself drizzled black paint upon the form, creating an allusion to oil spills and those that fight the company’s complacent in them. Made specifically for this HOCA benefit auction, this one-of-a-kind work is packaged with a specially designed note by the artist. The first exhibition at Tokyo’s HHH Gallery was Wait What in March 2015, a solo showcase of co-founder Haroshi‘s work. On display was Middle Finger, a massive wooden sculpture made out of discarded and recycled skateboard decks. The popularity of this simple design, juxtopozing the allure of the material with the aloofness of the concept, resulted in the artist debuting a vinyl sculpture version later that year. This unique set of four Middle Finger vinyl sculptures have each been hand-cast, the shifting percentages of black versus white having been carefully controlled during the casting. Maintaining a distinctly artistic feel, these realistic interpretations have a structural foundation at the base which is mostly obscured by the sculpted illusion of a dripping paint coat oozing downward.